Our fleet used for the most affordable Limousine service in the San Francisco Bay Area. Since founding in 2001, American Limo & Sedans has always emphasized making every customer feel like a celebrity. From the moment you book to when we drop you off, we are determined to give our customers the finest experience possibly. The best part? We offer the lowest rates in the Bay Area. Our founder, has 25+ years of experience, and he has passed on his extensive expertise that he acquired over the years to our carefully handpicked drivers. For long time residents of the Bay Area, you need to experience going around in a Limo or luxury vehicle at least once to see the Bay Area from a whole new perspective. We want to make sure everyone can experience luxury at an affordable rate. You don't break the bank by booking with us and you certainly do not lose out on quality of service. We ensure you get every dollars worth with our impeccable service. We have the best Limo prices in the Bay Area with the best service. We are more than happy to answer questions you may have. Simply call us (866)-580-5050 or drop us an email at limoampm@gmail.com and we will get back to you as soon as possible. The Cadillac XTS features a spacious interior made with high quality materials. While you enjoy the classy modern interior of the XTS, you will barely feel the usual bumps of the roads as the XTS provides one of the smoothest riding experiences possible. With it's top safety rating, it is one of the highest rated luxury vehicles for a reason. This is the cheapest option in our fleet but it certainly does not feel anywhere near cheap. The classic Limo that we all know and have desired to ride in some day. With our lowest rates in the Bay Area, you can get the celebrity experience of riding in a Limo. The starlight ceiling and LED interior is a captivating sight. - Complimentary ice cold soft drinks. Not quite ready for the Limo experience? 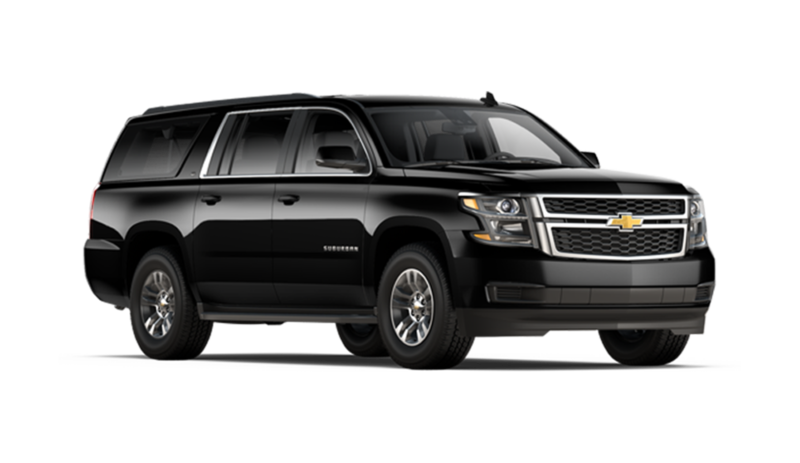 The Chevrolet Suburban still provides above adequate space for your big group. We like to call this car the friendly giant as it gives a big presence on the road but produces a peaceful ride. American Limo & Sedans is a luxury vehicle transportation service based in the San Francisco Bay Area. We provide the lowest Limo rates in the Bay Area but maintain top tier service quality. We make every customer feel like a celebrity.